Known for her signature laugh and positive energy, Lili Romann ’19 is excited to enter her third year of Inklings as a breaking news editor. Romann recognizes the sense of community that Inklings fosters, which draws her back to the class each year. 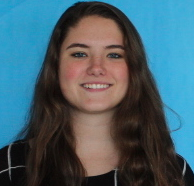 Romann has gained some of her best friends while taking journalism, and she believes Inklings has been one of her best high school experiences.